When it comes to getting overseas placement opportunities, Blossom Trips Jobs is the one single solution for both jobseekers and the companies looking for staff solutions. Located in Valsad (Gujarat, India), if you want to get placed in the best companies of abroad then acquire our overseas placement services. 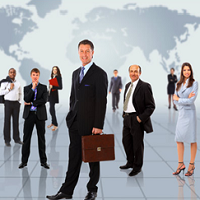 We assist our candidates in securing good positions in various companies across different countries. Over the years, we have benefited numerous professionals with our services. We have maintained a large databank of the companies and guide candidates regarding securing jobs with respect to their profiles.